I traveled to Kansas City a few weeks ago. 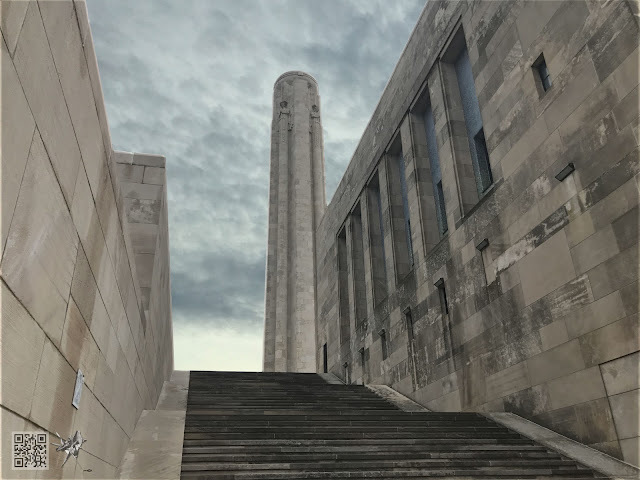 I was very interested to image a monument in that city; the Liberty Memorial that is the focal point of the National World War I Museum and Memorial. I've visited Kansas City a few times and have always been drawn by the simple elegance of the structure and the striking effect the monument has on the landscape as well as the psyche of the viewer. In advance, I stopped by the museum and found out who to talk to - the person in charge of the facility. I exchanged email with them, introducing myself and showing them some of my previous drone-related projects. Once I got that person's approval, I contacted the FAA to alert them to my plans in advance... 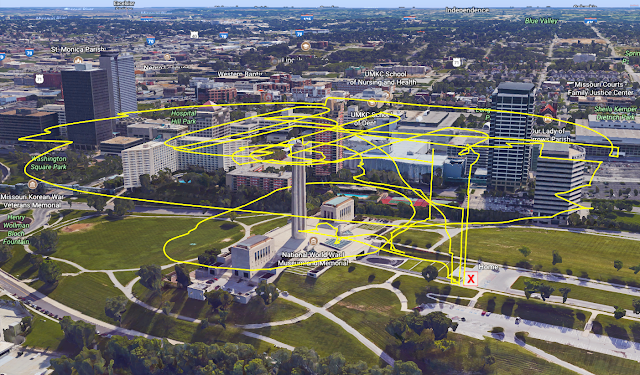 The monument is less than five miles from an airport - Downtown Airport - so I need to coordinate with the tower. 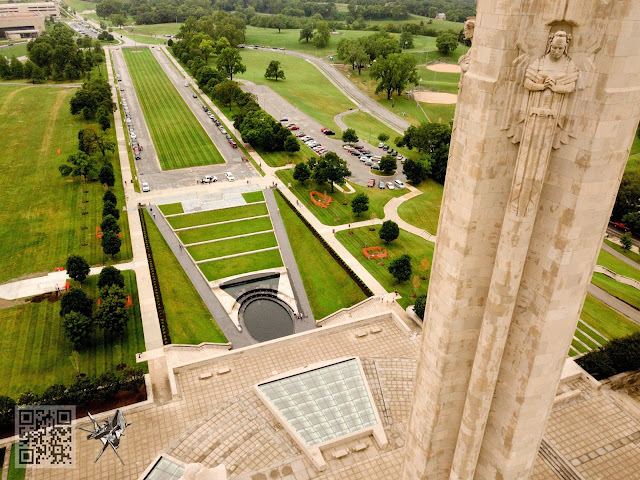 I planned to image the memorial on Thursday, July 27. 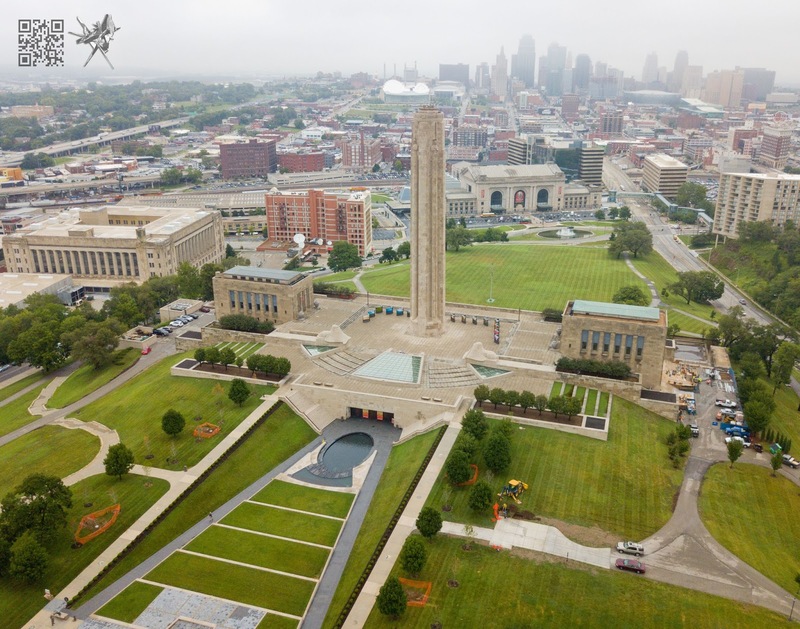 The weather was uncertain with clouds and potential rain but I went to the memorial as scheduled - My time in Kansas City was limited. I notified the FAA tower by telephone of my intention to perform drone operations over the Liberty Memorial. Once I arrived at the memorial, I set up my equipment at the southwest junction of the two paved walkways, one running from the base of the monument, one running up from the entrance to the museum, on a bench. In the above image you can see me and my bench at the bottom left. I performed two flights totaling 37 minutes between 10:28 and 11:07 at which time I was forced to stop flying by rain. 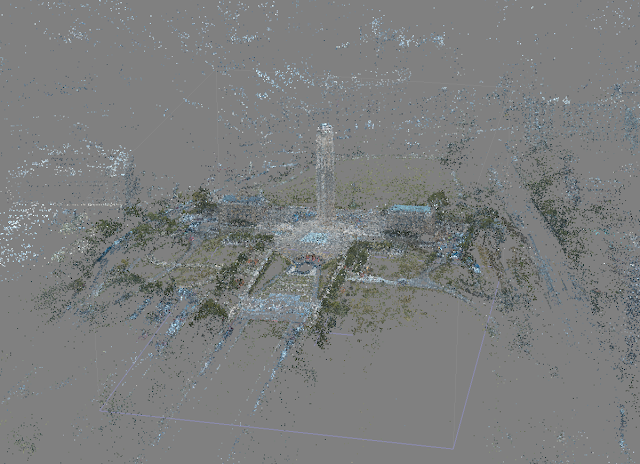 I waited for some time for the rain to subside but finally called the tower to officially end the flights at 12:30. The above image shows both of the flights in yellow, which is a drag. I'm using the new browser-based Google Earth which does not have a rich a toolset as the old standalone version, so I can't set the two flightpaths to use different colors. Anyway, I digress. I took a total of 588 photographs from the drone and an additional 66 by iPhone. I'm presently processing the 654 photographs into a model. I'm doing this on a laptop so it's taking a long time. It's been running for 170 hours and expects to use 287 more. Sheesh. Do you know how much juggling it takes to do actual work on the laptop you have to use for everything while still running this crazy background job? Can you imagine how crushing it would be to have the system abend at this point in the processing? This shows the photogrammetric representation of the model after photographic alignment and sparse point cloud generation. 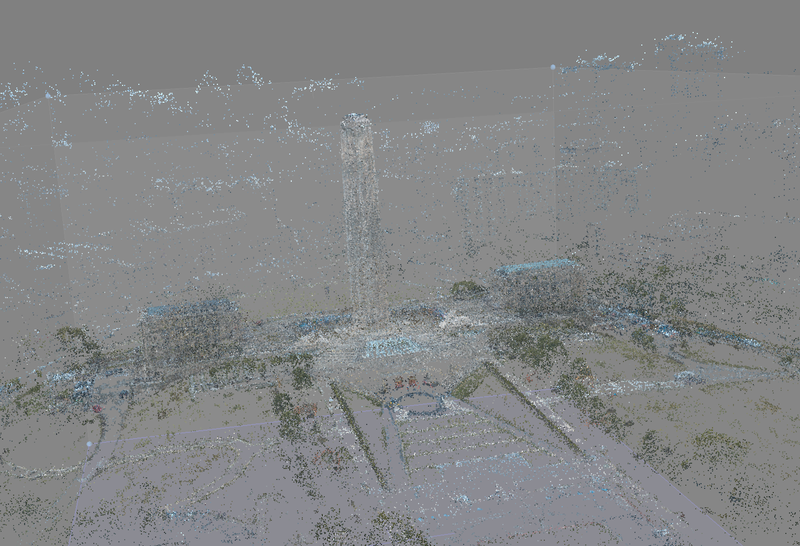 The above shows the model representation after depth reconstruction. 'Steps'. Shot on iPhone. Photoshopped; the clouds are actually from an image I use frequently that I shot a few years ago over Hartland, Vermont. 'Tower Looking South'. I love the detail on the 'Guardian Spirit' (Liberty Memorial elements). The angles of the reflecting pool, terraces, and deep lawn leading to the south really catch the eye. In other news, I will be showing a work, Swirls Twin, in the Governors Island Art Fair this year. The fair is on Governors Island, a short $2 ferry ride from NYC, and runs every Saturday and Sunday from September 2 through October 1.